I discovered as I arrived that the address listed happens to be the Empire State Building. I was super excited to visit the 75th floor, where I assumed “Suite 7510” was located. I walk past the line to the observation deck and begin asking the reception desk how to get to the Turkish Airlines offices. I am told, unfortunately, that even though the call center directed me to the office in Manhattan, they stopped providing the services described more than two years ago! 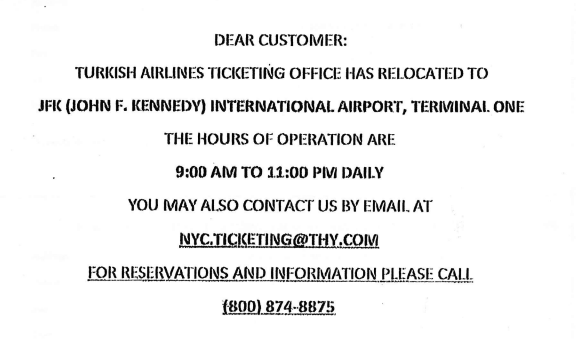 So my only choice was to schedule a time when I could take the Long Island Railroad out to JFK Airport where I would then be allowed to get the refund I deserved. At this point you can imagine how angry I was and grudgingly accepted the outcome. ← Can I get a car2go please?